You’re walking down the aisles at your local wine store or perusing through your favourite restaurants wine list. Maybe you know the difference between a New Zealand Sauvignon Blanc and a Sancerre Sauvignon Blanc, maybe you don’t. Do you ever wish it could be simpler? Well my friends, that day has come. We now have the first ever Augmented Reality (AR) on wine labels in Canada, so the bottle can really do the talking and tell us its story. 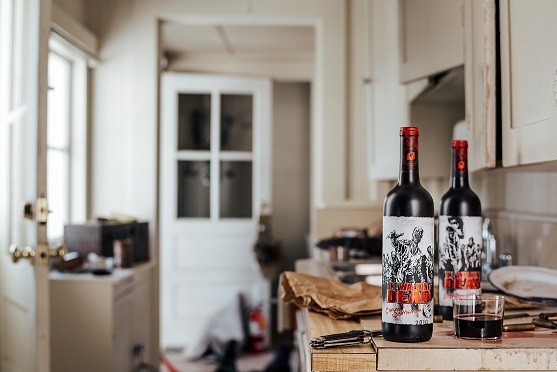 Treasury Wine Estates has officially launched AR wine labels for 19 Crimes, Lindeman’s, Gentleman’s Collection, Chateau St. Jean, Matua and Wolf Blass. Each brand and bottle has its own story to share. Whether you are enjoying a glass at home or ordering a bottle amongst friends at a restaurant, your experience has now become interactive and fun. 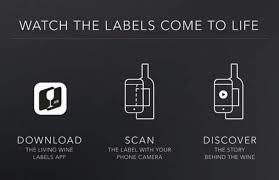 Goodbye to the confusing wine labels and hello to the new wave of digital delivery. The next time you purchase any of these brands, give it a go, download the Living Wine Labels App, scan the label and discover the story behind the wine! Inky purple with aromas of strawberry jam, leather, and sweet spices; the palate is full and dry with medium acidity and soft tannins. Look for big fruity flavours of blackberry, strawberry jam, and vanilla followed by a lengthy, spicy finish. Deep ruby in colour with a purple hue; aromas of black cherry, cassis and pepper; flavours replay on the aromas with an emphasis on black pepper and smoke that linger on the finish; medium acidity and medium-high tannin. ­This wine is bursting with aromas of ripe blackberry, roasted hazelnuts, and caramel. With intense concentration, this full-bodied wine has a creamy mouthfeel with ripe tannins and integrated acidity. ­ The lingering finish boasts notes of toasted coconut, violet, and black cherry. Cabernet Sauvignon, we harvested our fruit at the peak of ripeness, followed by frequent pump-overs throughout fermentation. This constant contact between the skins and juice enables maximum flavor extraction from the fruit. We then aged the wine for approximately 11 months in a combination of American and French oak barrels to lend sweet, toasty vanilla tones and build structure.